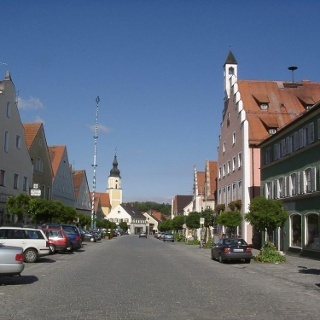 Photo:	cadmic, Tourismusverband im Landkreis Kelheim e.V. Photo:	Kurverwaltung Bad Abbach, Tourismusverband im Landkreis Kelheim e.V. 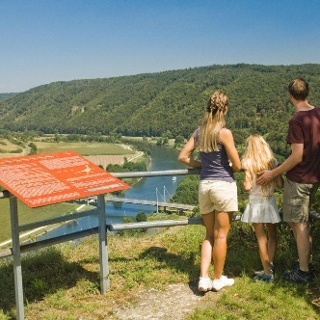 Photo:	Burkert Gestaltung, Tourismusverband im Landkreis Kelheim e.V. 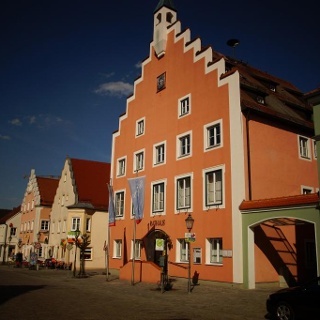 The market square in Bad Abbach is the start of this tour, which begins by crossing the Charbonnières-les-Bains bridge to the Bad Abbach Freizeitinsel camp site and open-air pool. 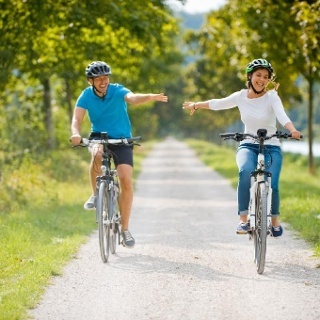 After that the route continues to Poikam and on along the Danube cycle path as far as Kapfelberg. Here, nature lovers can visit the district educational orchard before setting off uphill through Schultersdorf towards the forest. Through the shady forest the route leads to the idyllically situated Frauenhäusl bar/restaurant, a popular destination for day trippers and an inviting place for a good long stop-off. The tour then makes a leisurely descent to Kelheim. 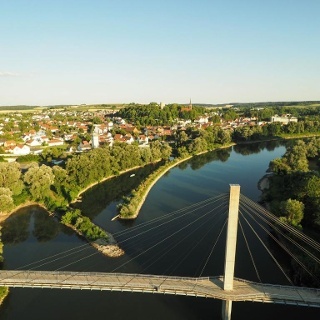 The Altmühl is crossed via the pedestrian bridge, taking you straight into Kelheim’s historic old town. Why not schedule a break here for a stroll through the town. 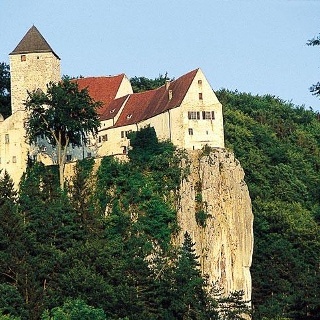 Those who have more time can also visit the Liberation Hall or make a detour by boat through the Danube Gap to Weltenburg Abbey. After that, the route crosses the Danube, following the river out of Kelheim, through Saal an der Donau and back to Bad Abbach. On arrival, to wind down after the tour you can visit the Kaiser Therme baths or relax in the spa grounds. 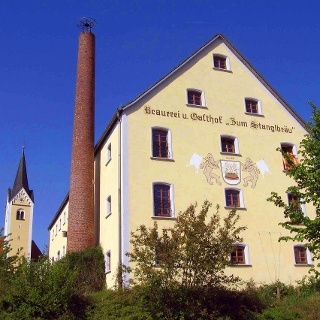 Allow a bit more time and enjoy a river cruise from Kelheim to Weltenburg Abbey (outward trip: about 45 minutes, return trip: about 20 minutes).